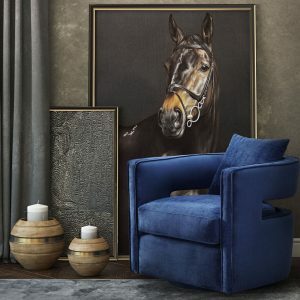 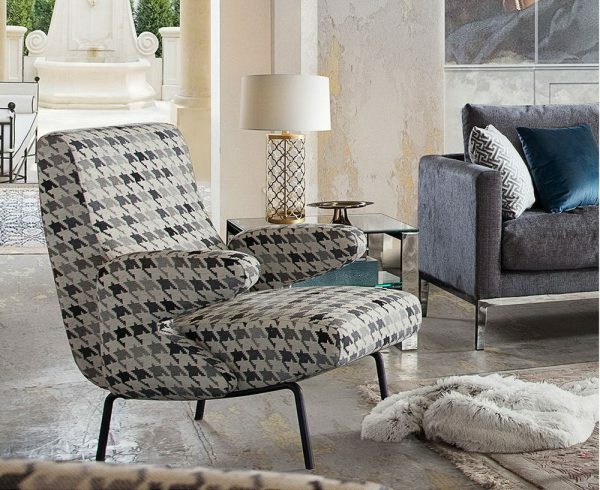 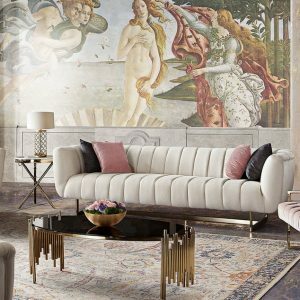 The Harper Accent Chair by Diamond Sofa has a retro vibe by design with a sophisticated, chic feel. 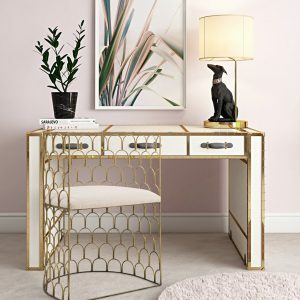 The Black & White Hounds Tooth patterned fabric refines the appearance, while the cool lines of the back and arms compliment the Black powder coated metal frame. The Harper Chair will certainly add a “cool factor” to any room’s decor.